To dismiss the implications of climate change based on an error about the rate at which Himalayan glaciers are melting is an act of astonishing intellectual legerdemain. Yet this is what some doubters of climate change are claiming. But the reality is that our understanding of climate change is based on a vast and remarkably sound body of science — and is something we distort and trivialise at our peril. The Intergovernmental Panel on Climate Change (IPCC) has published four comprehensive assessments of climate change and several important special reports since its founding in 1988. The last such document, the fourth assessment report (AR4) from 2007, mobilised 450 scientists from all over the world to write the report. An additional 800 contributing authors gave specialised inputs and about 2,500 expert reviewers provided 90,000 comments. In this mammoth task, which yielded a finished product of nearly 3,000 pages, there was a regrettable error indicating the Himalayan glaciers were likely to melt by the year 2035. This mistake has been acknowledged by the IPCC. Learning from this error, the IPCC has requested, in tandem with the United Nations’ secretary general, an independent review of its procedures and practices by the InterAcademy Council (IAC). This review was requested in part so that the possibility of similar errors can be eliminated as much as is humanly possible. If we do not carry out adequate mitigation and adopt related sustainable development practices… changes in the global climate system during the 21st century will very likely be larger than those observed during the 20th century. As inhabitants of planet Earth, our lives depend on a stable climate, and it is our responsibility to ensure that future generations do not suffer the consequences of climate change. We cannot ignore the fact that the impacts of climate change, which are based on actual observations, are leading to “increases in global average air and ocean temperatures, widespread melting of snow and ice and rising global sea levels”, according to AR4. An increasing number of researchers, and some official investigations by intelligence agencies, now point to the security implications of climate change. If we do not carry out adequate mitigation and adopt related sustainable development practices, global emissions of greenhouse gases will continue to increase, and their continuation at or above current rates will cause further warming and changes in the global climate system during the 21st century that will very likely be larger than those observed during the 20th century. Altered frequencies and intensities of extreme weather, together with sea level rise, are expected to have mostly adverse effects on natural and human systems. Even more serious is the finding that human-induced warming could lead to some impacts that are abrupt or irreversible. For instance, partial loss of ice sheets on polar land could imply metres of sea level rise, major changes in coastlines and inundation of low-lying areas, with the greatest effects in river deltas and low-lying islands. Human society has some critical choices. It is to be expected that some of these would pose challenges for some stakeholders and sectors of the economy. But to ignore the IPCC’s scientific findings would lead to impacts that impose larger costs than those required today to stabilise the Earth’s climate. Thousands of scientists from across the world have worked diligently and in an objective and transparent manner to provide scientific evidence for action to meet the growing challenge of climate change. To obscure this reality through misplaced emphasis on an error in a nearly 3,000-page, rigorous document would be unfortunate. Even more unfortunate is the effort of some in positions of power and responsibility to indict dedicated scientists as “climate criminals”. I sincerely hope the world is not witnessing a new form of persecution of those who defy conventional ignorance and pay a terrible price for their scientifically valid beliefs. The IPCC will continue to learn from experience, including criticism of its work. Thankfully, with inputs from thousands of respected scientists, world governments and now the IAC, the panel is in a better position than ever to provide a robust and reliable scientific basis for tackling the growing challenge of climate change. 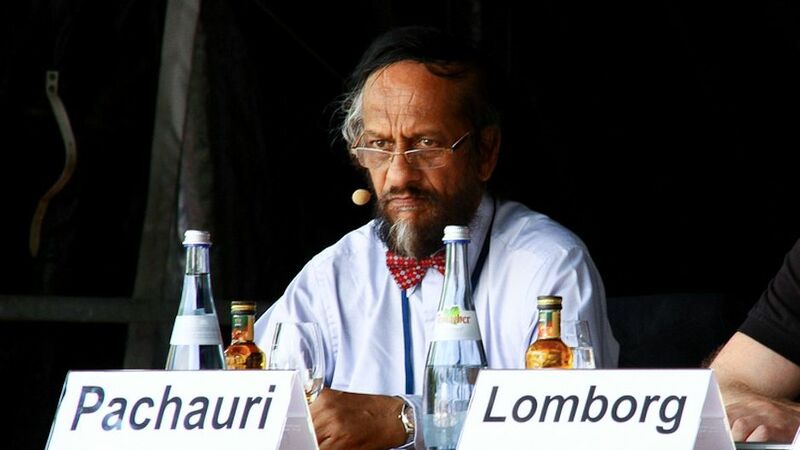 Rajendra Pachauri chairs the Intergovernmental Panel on Climate Change and is director general of The Energy & Resources Institute. All of you who promote climate change views continue to propagandize it instead of dealing directly with the objections of thousands of scientists who disagree. Instead of ignoring them, open a debate, and refute their ideas point by point, and give them a chance to respond. The “objections” of your supposed thousands of scientists have indeed been addressed and debated openly with many experts, practically on a daily basis, for quite some time now. Perhaps you just haven’t been paying attention? Now, i if you are still confused about the facts, you need only look at the other side of the coin and actually read studies and look at data other than the opposite “propaganda” that you evidently read to support your own “it’s all a big made-up conspiracy” (to what end, I still don’t understand…) point of view. The conspiracy lies on your side. You ignore evidence from prominent scientists. This is your religion, not a science. Most skeptics after viewing these videos, generally shift their position. Hope that they will helpful for you. They show the essence of the debate and how the science of climate change is clear.